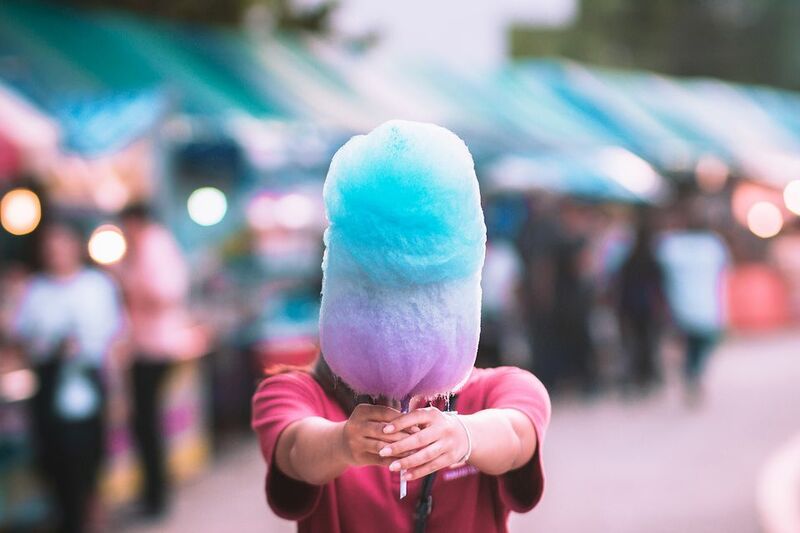 If you are looking for cool, exotic treats that are easy to make then these Thai desserts are the perfect summer solution. They are colorful, sweet, and many contain fewer calories and fat than most Western-type desserts. So go ahead and enjoy the sweet taste of summer! 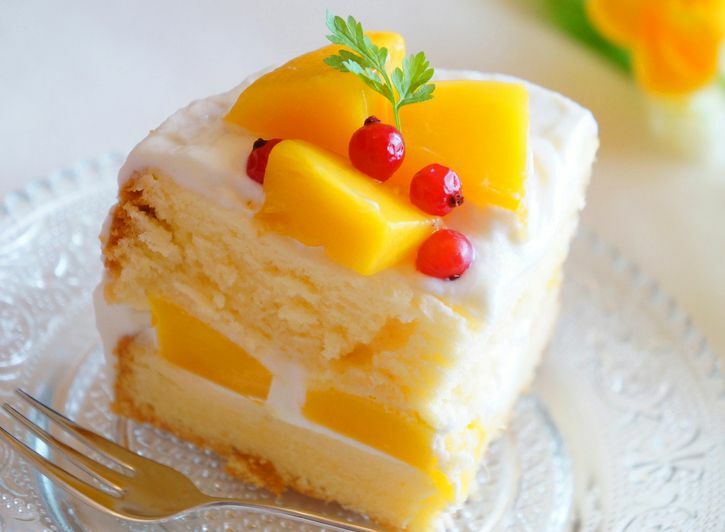 This mango cake is so fresh, fluffy, and delicious. As an added bonus, it's fun to make. In Thailand, cakes like this are served at big hotels where chefs add ornamental garnishes prepared with fresh mango and coconut. This cake is more simplified but maintains the original taste. Similar to a strawberry shortbread, this dessert has the exotic taste of mango throughout the layers. Mangos are in season during the summer months and this pudding is a great way to use them. This mango pudding is made with coconut milk instead of whipping cream or regular milk. Unlike dairy products, coconut milk brings out and enhances the taste of the mango, plus adds a touch of richness and is lactose-free. Try this fantastically easy recipe for mango ice cream. The texture of this frozen dessert is halfway between sorbet and ice cream and full of mango flavor. The ice cream is quick and simple to make. You don't need a stove or ice cream maker; all you need is a blender or food processor. This dessert can be made ahead of time, so it's a perfect option for a dinner party. This is a Thai version of the classic creme caramel dessert. It is super-easy to make, melt-in-your-mouth delicious, and healthier than traditional creme caramel. The recipe calls for coconut milk instead of cream (coconut milk contains good fats that actually lower your cholesterol), so if you're lactose-intolerant, this is a good dessert choice for you. It's also super quick to make; this recipe can be made and put in the oven in less than 10 minutes. The results are very elegant, so consider serving this to guests or taking it to a party. Thai iced coffee is so good, it's worthy of dessert! If you like iced coffee from a local cafe or a pre-made bottled, try making it yourself and saving a bundle. This Thai version of iced coffee is simply heavenly served over ice on a hot day. Add some of your favorite liqueur for a delicious afternoon or after-dinner cocktail. This easy dessert only takes just minutes to make. Don't be deceived by its simplicity; the taste is wonderfully sweet and exotic. For an added bonus, this dessert is healthy, gluten-free, and vegan. If you have leftover bananas, consider making this sweet treat. Here's a dessert recipe that's tropical, delicious, easy, gluten-free, and vegan too! When buying tapioca, look for the seed tapioca found in the baking aisle of most regular supermarkets. You can also buy pearl tapioca at any Asian grocery store. Tapioca comes from the cassava plant and is a root vegetable and not a grain, making it gluten-free. This beautiful Thai fruit salad recipe is a taste of paradise. Tropical fruit, or a mixture of tropical and local fruit, is tossed together in a sweet coconut-lime fruit salad dressing that enhances the luscious taste of the fruit without overwhelming the flavors. Choose your own combination of local and exotic fruit for this easy fresh fruit treat. Mangosteen is a beautiful Thai fruit that is now available in the US and Canada. Because it contains so many antioxidants, mangosteen has numerous health benefits. If you can't find it, lychees make a perfect substitution and are available fresh and canned.